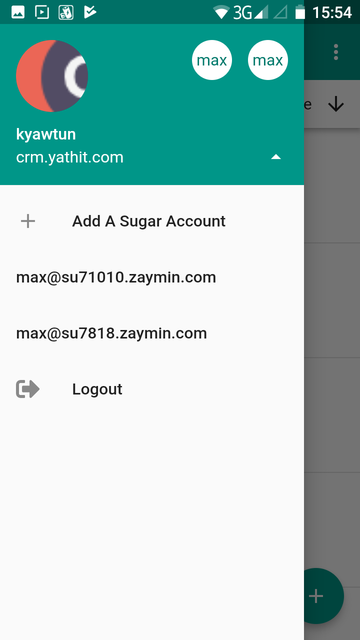 Install Yathit Mobile App for Sugar® CRM / SuiteCRM from Apple App Store and Android Play Store. If your company is using custom app, install as instructed by your CRM admin. Yathit Mobile App supports both mobile and tablet form factor are supported. SugarCRM 6.0 or SuiteCRM 7.0 and above are supported. The app works with all editions of SugarCRM. Server-side Sugar module installation is not required. 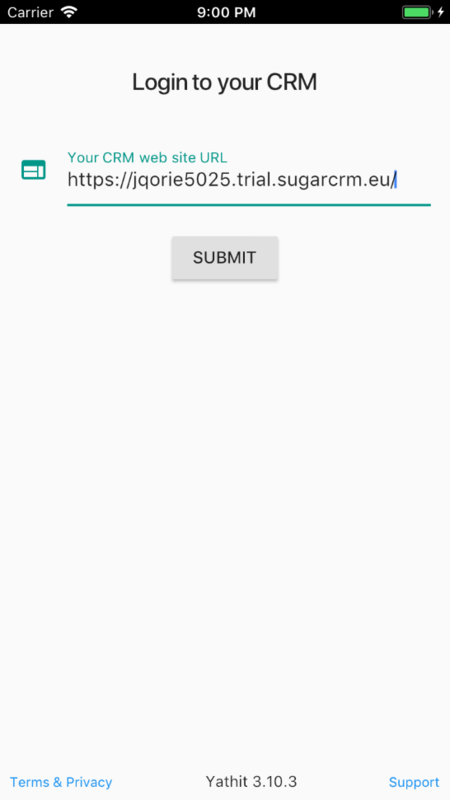 After entering complete URL, the app will make REST API call to acquire SugarCRM version and supported localization language definition. If your CRM support more then one language, the language selection drop down menu will appear below the URL. Also notice SSL pad lock icon to appear if your server support SSL connection. Enter your CRM username and password. If your CRM use Single-sign-on (LDAP/SAML) authentication, tick the Single-sign-on checkbox. Click LOGIN button. After successful login, site license will be provision automatically if you have. 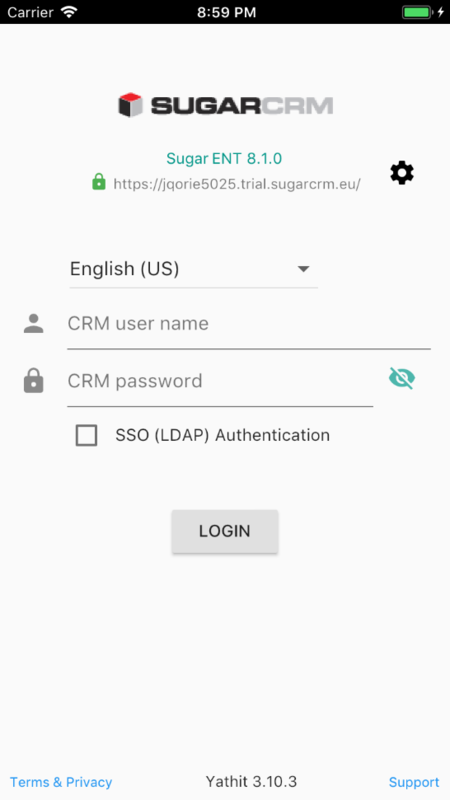 For the first login, SugarCRM meta data and ACL for all modules will be downloaded and it may take a minute or two depending on number of modules you have. After that application Home Page should appear. Using multiple CRM instance is a premium feature. To add a new CRM instance, on the drawer menu, tap drop down arrow on the right side of your login label. Tap on Add A Sugar Account, when appear. Once you have added multiple CRM instances, you can quickly switch by them by tapping either on the icons or their login labels. You can also logout from the CRM there.